Each of the eight stories included in the collection is astounding in its completeness and uniqueness. 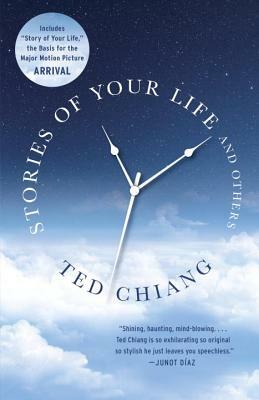 Chiang has a consistent style of prose but beyond that he leaps from idea to idea nimbly and each story makes its own universe and point of view. What impresses me most about Chiang's work here is the pairing of hard science with thoughtful characterization of his protagonists. These are incredibly delicate, personal stories of love, loss, desire, and hope. Most of all, I am surprised at how accessibly he writes about complicated scientific principles that would normally be miles above the head of a non-scientist. Call me converted (but I'm still not giving up Bujold, Norton, or McCaffrey).